When chef Chris Prosperi wants super-moist salmon, he doesn’t mess around—he poaches it. 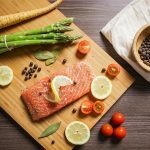 This is is very simple method for perfectly poached salmon. 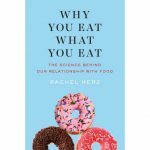 Why You Eat What You Eat, written by Brown University and Boston College neuroscientist Rachel Herz, reveals the fascinating and surprising facts that influence our food consumption. Your paella pan can be used for more than making the traditional Spanish rice dish everybody loves. 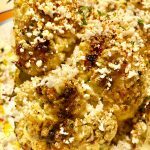 Use your paella pan to make smashed cheeseburgers on the grill. 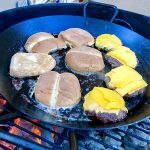 It’s easy, good for the pan, and you can make up to 8 burgers on a large heavy-duty pan. 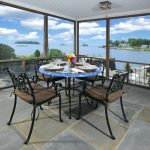 Tony Broom, host of the Thimble Islands Bed & Breakfast in Stony Creek, Conn., makes a phenomenal omelette with shiitake mushrooms, caramelized onions, and the right amount of crumbled Gorgonzola cheese.